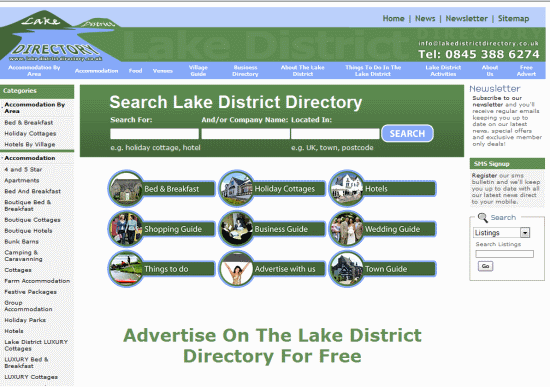 The Lake District Directory is definitely one of Infinity Web Design’s successes. This is the perfect website for visitors and locals to the area. Here you will find a wealth of information to help plan your trip to the Lake District and if you own a local business, hotel or restaurant then this is the perfect place to advertise and promote your products and services. In just a short space of time, the Lake District Directory holds front page positions on Google Search for top quality search phrases including: Lake District Directory, Luxury Lake District Hotels, Lake District Village Guide and Lake District Business Directory.